Keynote Lecture — 12 p.m.
"Fish out of Water: Did our Earliest Ancestors Walk onto Land?" One of the great mysteries regarding the evolution of animals is how and when four-limbed vertebrates achieved the ability to stand and move on solid ground. Join Dr. Pierce as she outlines how new evidence suggests that our fish ancestors transitioned from swimming in water to walking on land at some point during their evolutionary history. 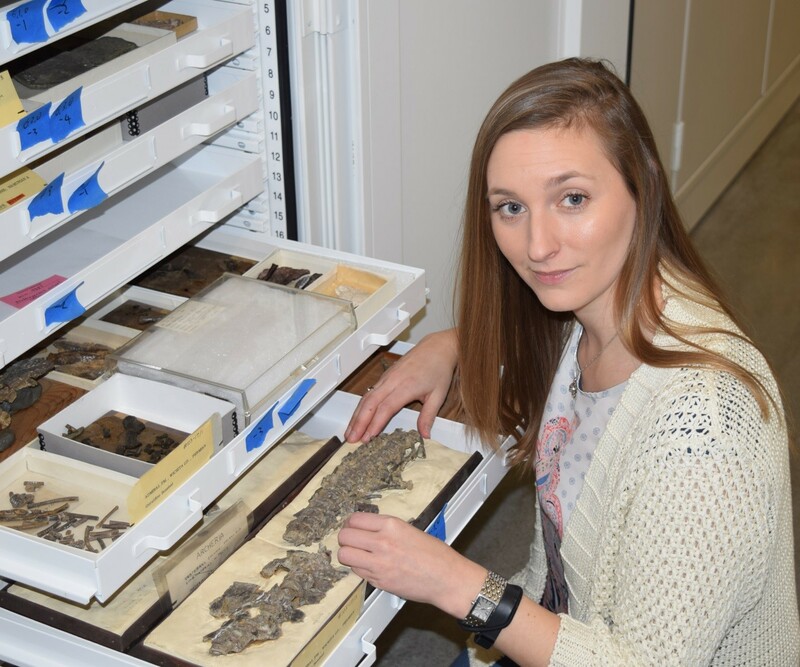 Dr. Stephanie E. Pierce is an Assistant Professor of Organismic and Evolutionary Biology and Curator of Vertebrate Paleontology at the Museum of Comparative Zoology, Harvard University. She received a BSc degree in paleontology from the University of Alberta, Canada (2000), a MSc degree by research in systematics and evolution from the University of Alberta (2003), and a PhD degree in paleobiology from the University of Bristol, UK (2008). Pierce’s research melds modern animal experimentation with computer generated models to examine the anatomy and movement of extinct vertebrate animals. A particular interest is reconstructing the locomotion behavior of the first terrestrial tetrapods as they transitioned from water-to-land. As part of this research, Pierce conducts fieldwork in North America with the aim to fill missing gaps in the early tetrapod fossil record. Her research has received worldwide media attention, being highlighted in the New York Times, National Geographic, Science, BBC, and Discover Magazine. She was featured in the award winning science documentary series Your Inner Fish, and was a scientific advisor on the award winning documentary series Inside Nature’s Giants. Recently, Pierce co-conceived, designed, and presented a series called Harvard Adventures! for the YouTube channel The Brain Scoop; the series details how paleontologists reconstruct the anatomy and movement patterns of extinct animals. Back to list of 2018 DinoFest speakers.